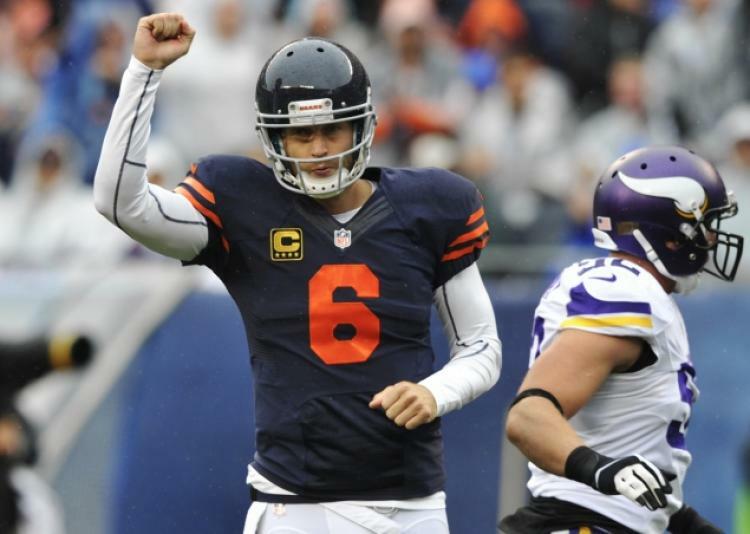 You may think it’s odd but the Vikings are a decent match-up for the Bears. Even with the RapSheet report of turmoil inside the Bears organization, this team has a chance to give their fans a nice moment in what will be their last nationally televised ballgame. Three reasons they may win. Vikings can’t block the edge and the Bears pass rush is emerging. With McPhee back on the field, Floyd coming off his breakout performance and Young delivering steady performances each week, the Bears edge rushers have an opportunity to wreck the game and force Sam Bradford into some horrible mistakes. Alshon. It would be shocking if Jay doesn’t float at least 2-3 balls deep to Jeffery tonight. Both men have a point to prove – to this organization and the 31 others – and both will be eager to prove it together. Every time the Vikings isolate Alshon in man, expect Jay to look his way. Should the Bears win? No. Can they? Absolutely.